Today I had resolved to do some school work. 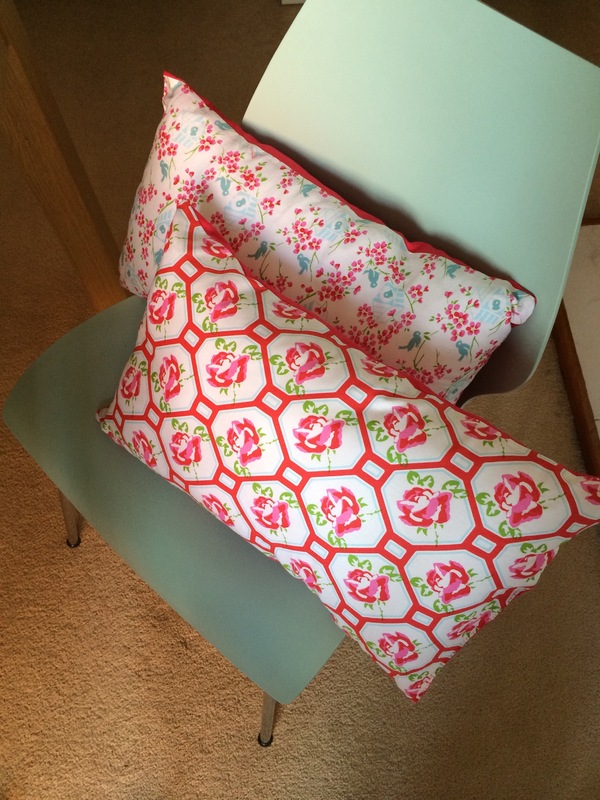 So I walked the dogs, ran a couple of errands, did some chores and made two cushion covers. Productive, if misdirected. The completed cushions are to be a gift. They were quick, easy, and my first make since arriving home with my fabric haul on Sunday. Actually they are the first thing I’ve made all summer! First I measured the cushion pads, which I’d spotted at a bargain £2 when I bought the fabric – I got all 6 pads available. 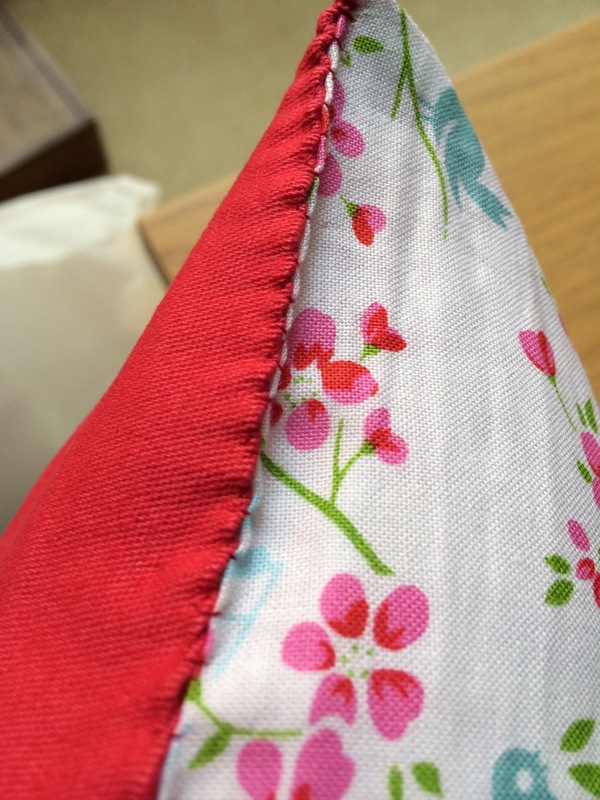 I added 2cm to each length as seam allowance. 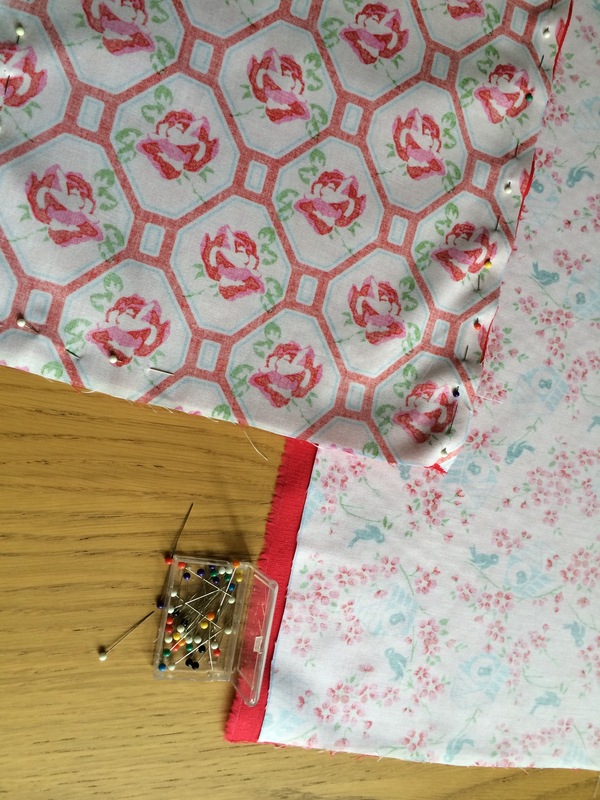 For the back, to contrast with the Cath Kidston-esque fabrics, I used some pink fabric that is slightly stretchy and left over from a previous apron project. I put the outsides in and pinned each set of two together, leaving half of one end open to enable the insertion of the pad once the sides had been sewn. 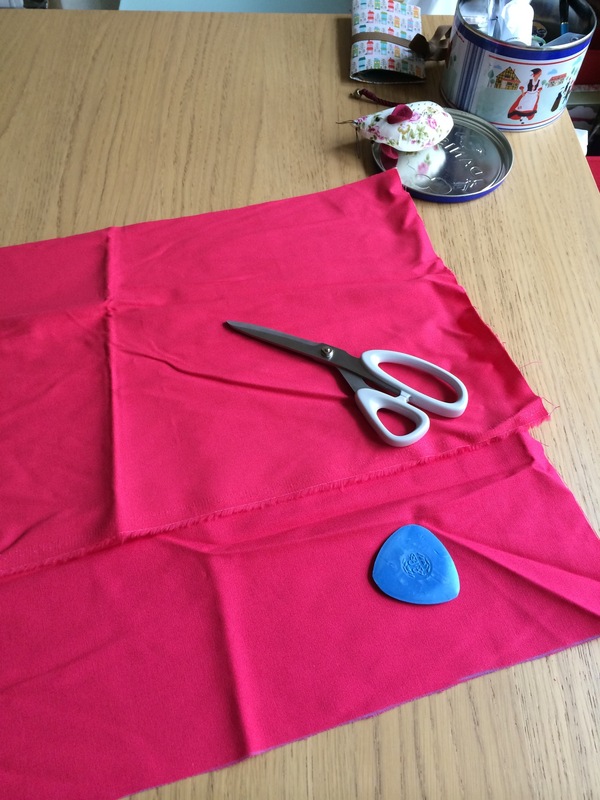 The sewing itself took no time at all – probably less than 5 minutes per cushion. As a very new sew-er, I realised I could use the foot to assist me with both the seam allowance and sewing in a straight line. 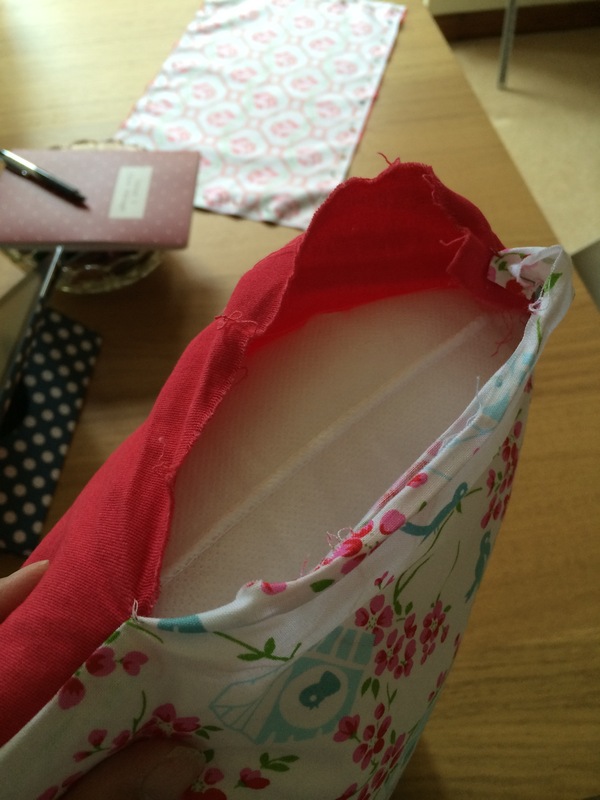 Once the three and a half sides were stitched, it was a case of squashing in the pads. The gaps I’d left were probably slightly bigger than they could have been as this was fairly easy. It always surprises me how strong the stitches are to not tear at this point. Then I was just left with the open ends. I folded the edges in so they would be roughly the same as the existing ones, then pinned them to hold them in place. I decided to sew from the middle to the edge and hoped this would mean I could push any unwanted ruffles out wards and disguise them easier. This is where someone else would have thought ahead and chosen a better finishing method. 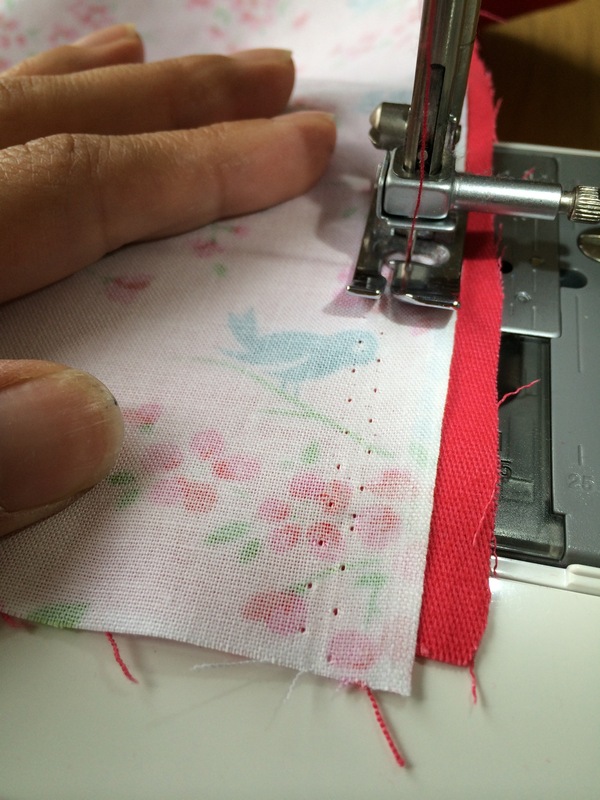 My way is quick and easy but means the final bit has to be hand sewn. To date I am wary of buttons, zips, press studs and other fastenings, because I haven’t used them since GCSE Textiles and I’m too impatient. Previously I have oversewn the gap which is functional but doesn’t look great. 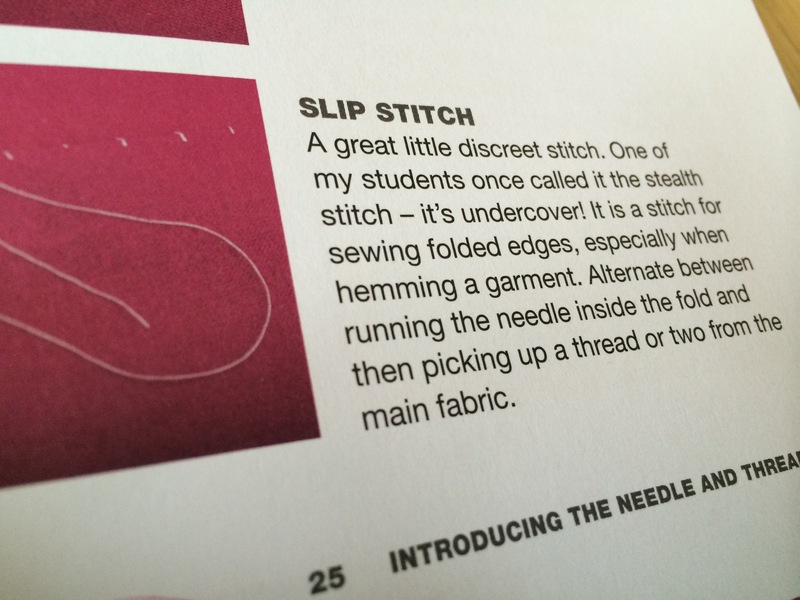 Today I decided to try the slip stitch. I’m not completely sure what I did is the slip stitch, strictly speaking, but it worked and probably because of me pulling the cotton a little too tight, created a kind of scalloped effect which I quite liked. Another time perhaps I’ll leave the full end open so it won’t look quite so odd, should anyone examine them close up. It would have been an opportunity to practise and develop skills, but I took the easy route and I’m pleased with the finished product. The cushion pads were advertised as boudoir cushions, but depending on decor I think they could be nice in a living room too.